Tree Groundpine, a clubmoss (Lycopodium), with spore-bearing cones. 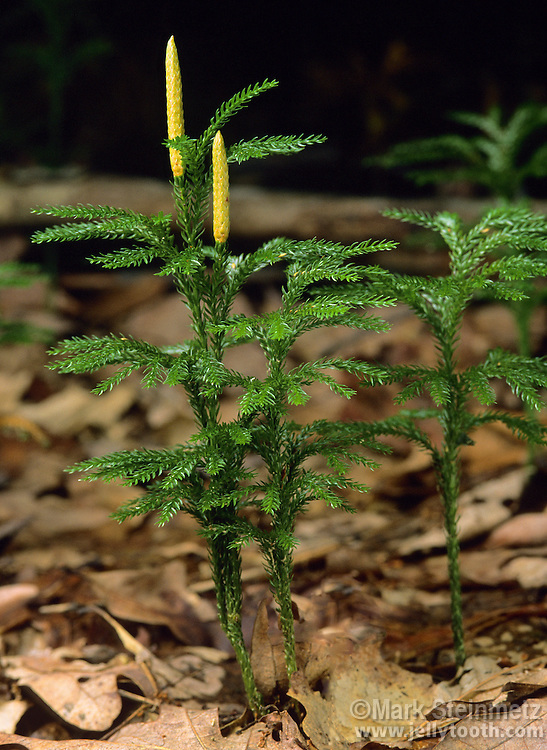 Lycopodium dendroideum (aka Lycopodium obscurum). Bear Run Nature Preserve, Pennsylvania, USA.